Captain Edwin Swales, VC DFC. Edwin Essery Swales was one of four children born in Inanda, Natal, South Africa to Harry Evelyn Swales, who was a farmer in the Heatonville district, and Olive Miriam Essery. Following the death of her husband in the influenza epidemic of 1918-19, Mrs Swales and her children moved to the Berea, Durban. Here, Edwin Swales attended Durban High School (DHS). As a young lad, Edwin had also been a member of the Boy Scout movement (4th Durban Scout Troop). After leaving school, and prior to the Second World War, Edwin Swales worked for Barclays Bank (Dominion Colonial and Overseas – DCO) in Durban. Swales had joined the Natal Mounted Rifles before the War, rising to the rank of Sergeant Major, (officially, a Warrant Officer, 2nd Class). With the N.M.R., in the early part of the War, he saw action in Kenya, Abyssinia and in North Africa. He then transferred to the South African Air Force on 17 January 1942. Swales was also very keen on sport generally, and enjoyed rugby. He played for both civilian (pre-war) and various military teams. After playing for the DHS 2nd XV, he later played rugby for a number of South African and Dominion teams, whilst he was in the United Kingdom, during the War years. He played for Griquas when he had been posted to Kimberley for training. He was also a reserve for the Natal rugby team, without ever actually playing for the province. He received his wings at Kimberley on 26 June 1943. On 22 August 1943, he was seconded to the Royal Air Force (RAF) whilst retaining his South African Air Force uniform and rank. Following successful period of training on heavy bombers, Swales was posted, in June 1944, to the elite RAF Pathfinder Force (with 582 Squadron), part of No. 8 Pathfinder Group, at Little Staughton, inHuntingdonshire. It was normal for the Pathfinders to accept only experienced pilots who had completed a full tour on bombers. Although Swales had never spent any time as a bomber pilot in a standard heavy bomber squadron, Swales went straight into the Squadron. Swales’ first operational flight for 582 Squadron was on 12 July 1944. Newly promoted to Captain on 4 November 1944, he took part in a daring daylight bombing raid on 23 December, on the Gremberg railway yards, Cologne, Germany. The Squadron Leader for the raid on Cologne was his close friend, Robert Palmer, D.F.C., who normally flew Mosquitos with 109 Squadron, also based at Little Staughton. Swales was the number two Pathfinder, leading the main flight and following Palmer as he marked the target. Palmer, who had completed 110 bombing raids, was killed as his Lancaster was damaged by German fighter and crashed. Six of the 30 aircraft on this operation were lost. 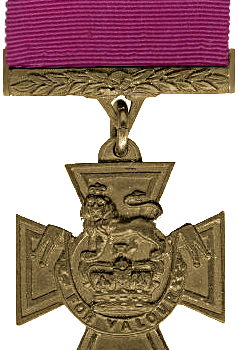 Palmer was later awarded a posthumous Victoria Cross – becoming the 2nd Pathfinder pilot to be so honoured. For his actions on the Cologne raid, Edwin Swales was subsequently awarded the Distinguished Flying Cross. In 1945, while with the RAF Pathfinders (No. 582 Squadron), Swales was the Master Bomber and captain of Avro Lancaster III PB538. On 23 February 1945, the very same day as his D.F.C. award was gazetted, Swales led the bombing raid on Pforzheim, Germany (not far from Karlsruhe and the Rhine River), where 17.600 civilians were killed in 22 minutes. The ‘sortie’, his 43rd operational flight, consisted of 367 Lancasters supported by 13 Mosquitos. The marking and bombing, from only 8,000 feet, were particularly accurate and damage of a most severe nature was inflicted on Pforzheim: 1,825 tons of bombs were dropped in only 22 minutes. The post-war British Bombing Survey Unit estimated that 83% of the town’s built-up area was destroyed, probably the greatest proportion in any one raid during the war. Ten Lancasters were lost that night and two more crashed in France. Swales’ aircraft was attacked by an Me110 whose fire shattered one engine and holed the fuel tanks. They were attacked again by the same fighter which knocked out a second engine. Swales decided to make if not England then friendly territory. The weather closed in and he ordered the crew to bail out. He attempted to put down but his Lancaster stalled and crashed near Valenciennes, west of Prouvy, 3 km SSE of Denain in northern France killing him. He was posthumously awarded the Victoria Cross – the 3rd and last Pathfinder pilot to be so honoured. All had been posthumous. “Captain Swales was ‘Master Bomber’ of a force of aircraft which attacked Pforzheim on the night of February 23, 1945. As Master Bomber he had the task of locating the target area with precision and of giving aiming instructions to the main force of bombers in his wake. Soon after he reached the target area he was engaged by an enemy aircraft and one of his engines was put out of action. His rear guns failed. His crippled aircraft was an easy prey for further attacks. Unperturbed, he carried on with his allotted task; clearly and precisely he issued aiming instructions to the main force. Meanwhile the enemy fighter closed the range and fired again. A second engine of Captain Swales’ aircraft was put out of action. Almost defenceless, he stayed over the target area issuing his aiming instructions until he was satisfied that the attack had achieved its purpose. Although often referred to as being a “Captain” at the time of his last flight, Swales was in fact an ‘Acting’ Major. The S.A.A.F. was using the army ranking system, hence the ranks of ‘Captain’ and of ‘Major’. At the time of his death on 23 February 1945, Swales was aged 29 years. In 1958, the British Air Ministry wrote to the Commonwealth War Graves Commission informing them that the South African Air Force authorities had confirmed that at the time of his death, Swales had in fact held the rank of Major. The front page of the program for the opening of the S.A.A.F. Memorial in Pretoria on 31 May 1950, described Mrs. Olive Swales (who opened the Memorial) as being the “mother of the Late Major Edwin Swales, DFC, VC”. Swales’ full size war medals and some other possessions are held and displayed at the South African National Museum of Military History in Saxonwold, Johannesburg. At his old school, Durban High School (founded in 1866), a school ‘House’ is named Swales House. In the city of Durban, there was a major arterial road named ‘Edwin Swales VC Drive’. In terms of controversial proposals made by the eThekwini Municipality, Swales’ name was expunged, and the road’s name changed to honour instead anti-apartheid freedom fighter Solomon Mahlangu. The original set of miniature medals belonging to Swales, and a silver model Lancaster Bomber, are now housed in an exhibition honouring Swales at his old school, Durban High School. Many years ago, the miniature medals and the model had been sold by a member of the Swales family. After changing hands a few times, the group came up for auction in London in July 2004, at which time the medals and model were sold to a UK collector. A medal collector and D.H.S. Old Boy tracked down the buyer and convinced him to sell his recent acquisitions to the School. After four months of negotiations, the medals and model were delivered to their new home at DHS, where they were first displayed on Armistice Day, 11 November 2004. The silver model Lancaster was one of only ten such models which were commissioned by the aircraft’s manufacturers, Messrs A.V. Roe & Co. and by Rolls Royce (suppliers of the Lancaster engines) and presented to the ten Victoria Cross winners (or their families) who flew Lancasters in the Second World War. On the base stand of the model is a silver plaque inscribed: “A Tribute from the Directors of A.V. Roe & Company and Rolls Royce Limited. To the Memory of Captain Edwin Swales,” V.C., D.F.C., S.A.A.F., who was Awarded the Victoria Cross for his great Gallantry and Self-Sacrifice during Operations Against the Enemy on 23rd February 1945″.